The history of Vizianagaram district is connected with hoary past of Kalinga, one of the political divisions of ancient India. Only in modern times, the upper part of Kalinga was gradually merged into Orissa State and the lower part into Andhra Region. An important event in the history of the district is the war between the Rajas of Vizianagaram and Bobbili, popularly known as Bobbili Yuddham. 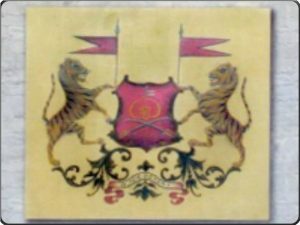 The war was fought between the Rajah of Vizianagaram aided by the French General Bussy and the Rajah of Bobbili on the 24th of January 1757. The bravery and valour of the soldiers of Bobbili displayed in this war is still remembered by the people of the area. Another important event in the history of the district is the war between the French and the English fought at Chandurthi in 1758 in which the French were defeated and the Northern Circars were made over to the British under a firmana from the Mughal Emperor, Shah Alam in 1765 which were placed under the then existing Chief and Council at Vizagapatam. In 1794, the Chiefs and Councils were abolished and Vizagapatam was arranged into three divisions each under a Collector. Almost the entire area of the present area of Vizianagaram district fell under the second division. The history of the rebellions against the alien rule goes back to 1830s when the people of the district particularly the tribals, unable to beat the oppression, rose in frequent rebellions(fituris) leading to the establishment of separate administrative system known as “Agency Administration” under the India Act XXIV of 1839.Almost the entire area of the present area of Vizianagaram district fell under the second division. The history of the rebellions against the alien rule goes back to 1830s when the people of the district particularly the tribals, unable to beat the oppression, rose in frequent rebellions(fituris) leading to the establishment of separate administrative system known as “Agency Administration” under the India Act XXIV of 1839. The rebellion of Korra Malliah, a tribal chief of the Salur area against the British rule in 1900 is another important event in the struggle against the alien rule. The District Magistrate dispatched Reserve Police to suppress the revolt which was seriously resisted by the people. In the skirmish that followed many were killed. Korra Malliah along with son was arrested and kept in Jail where he died subsequently. In the freedom struggle the people hailing from the area enthusiastically took part in various phases of the movement like a non-cooperation movement, civil disobedience movement, Quit India Movement etc. After abolition of the Zamindaris in1948, Visakhapatnam district was found to be unwieldy for administrative purposes. Consequently, Srikakulam district was carved out in 1950, bifurcating it from Visakhapatnam district. The constitution of Vizianagaram district in 1979, by transferring the taluks of Parvathipuram, Kurupam, Salur, Bobbili, Badangi and Cheepurupalle from Srikakulam district and some taluks of Visakhapatnam forms the latest development in the history of the district. The town was almost wiped out during the war against Vizianagaram, which ended in the traggic massacre. Because of the valour of the natives of the war, the name Bobbili conjures up an image of valour, self respect and sacrifice in the telugu world even today. Interestingly, in the parlance of railways and telegraphs department Bobbili is still referred to as “Veera Bobbili” ( Brave Bobbili). Bobbili is 55 Kilometres from Vizianagaram and is accessible both by rail and road. It is an important railway junction on the Raipur- Vizianagaram line.The bridge over river Vegavati was designed and constructed by Gannon Drunkerly & Co. Ltd. of Bombay in 1934, to facilitate trade within the region. Though no remnants exist of the original Bobbili fort, there are numerous places which serve as residence as residence of the royal family. The Durbar Mahal was built in 1893 as a meeting hall where Raja held his court and recieved royal emissaries. Two stone elephants stand guard on either side of the steps leading to the “Durbar”. Today, the first floor houses a museum of various artifacts pertaining to the Bobbili of yore, while the lower floor is used as a office of the political party. The Rajas of Bobbili laid special emphasis on education of the masses and upliftment of the poorer sections of the society. The temple of the family deity, Venugopala Swamy had been in existence since Bobbili was founded, but the present temple was built by Chinna Ranga Rao, When he tool over the reins of Bobbili after the ill fated war. It is located close to the royal residence and is the most revered temple in Bobbili. The Gopuram ( Entrance) was built by Swetha Chalapati Rao in 1851. It is the only temple in the region where the Gopuram is higher than the main temple. The Vasant Mandapam stands aloof in the placid waters of a lake.Legend has it that the Lord enjoys a day of solitude with his wife here. Post Sojourn the idol is installed in Dola Yatra Mandapam on the banks of the lake for a day and then carried to the main temple. The mandapams were constructed by Maharaja Krishna Das Ranaga Rao, in 1825. 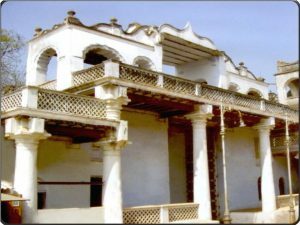 One of the palaces, Pooja Mahal, situated inside Bobbili Fort, was bulit by erstwhile Rani of Bobbili and is in use by the royalty even today. 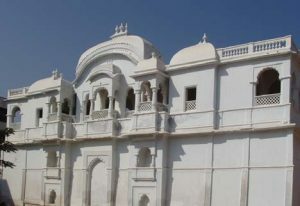 Prangmahal is one of the best kept heritage buildings in the region. 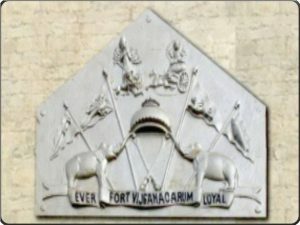 It is situated within the fort compound opposite Pooja Mahal. This residence of the Raja of Bobbili is a visual treat with tapestry, paintings and porcelain collected form different parts of the world. The Raj Mahal, also known as the Chikkavram Guest house and Bobbili guest house are one of the mahals built by Bobbili Rajas. Apart from Rajas of Bobbili, their Kith and kin were also prominent personalities, who built opulent homes which survive even today. The Manohar Vilas Palace was built in 1925 by the Rajas brother , the Zamindar of Kirlampudi, as a guest house and a summer resort. It is a two storied structure surrounded by a splendid garden which has a fountain with a marble statue of a beautiful maiden.